Dear friends, thank you very much for your wonderful photos! 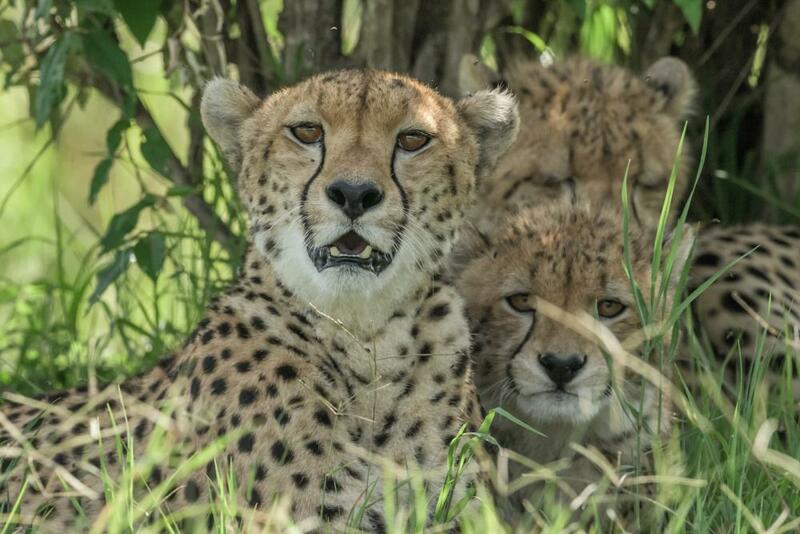 To date, we identified 67 adult individuals in the Mara and know kinship of 55 of them. To accomplish task, we are looking for images of mothers with cubs of different ages photographed in 2002-2012. For identification, we use spot patterns on the limbs and spots and rings on the tail. 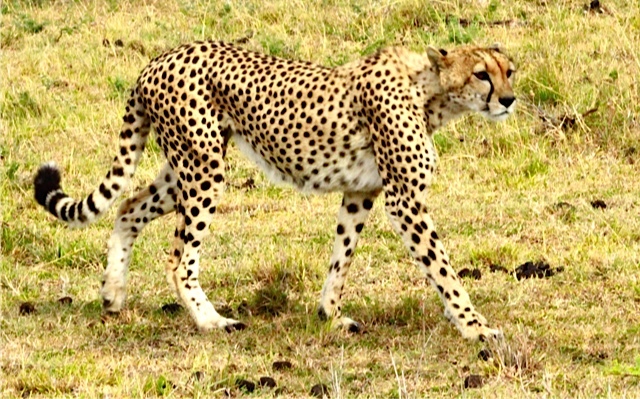 For more details see: http://marameru.org/eng/project/cheetah-identification/ Please note, that profiles of walking, standing or sitting cheetahs are the best for identification. 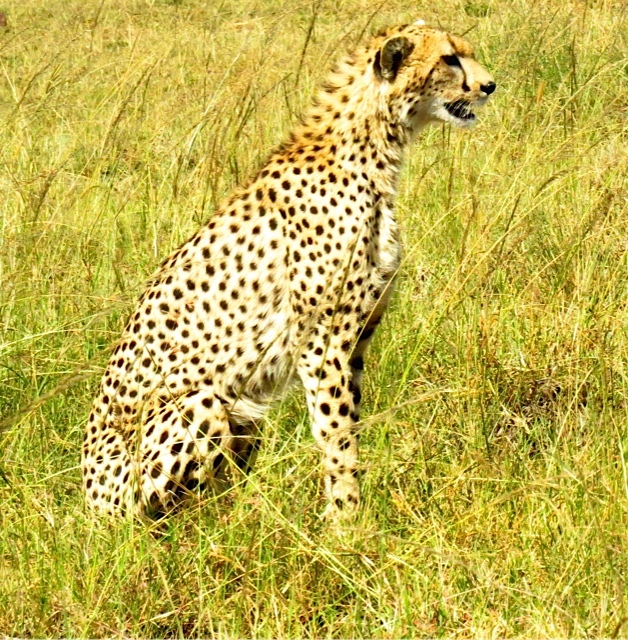 All photographs contain date and time (if it was set up in the camera) which helps keeping personal cheetah records, while posted pictures don't have this important information. 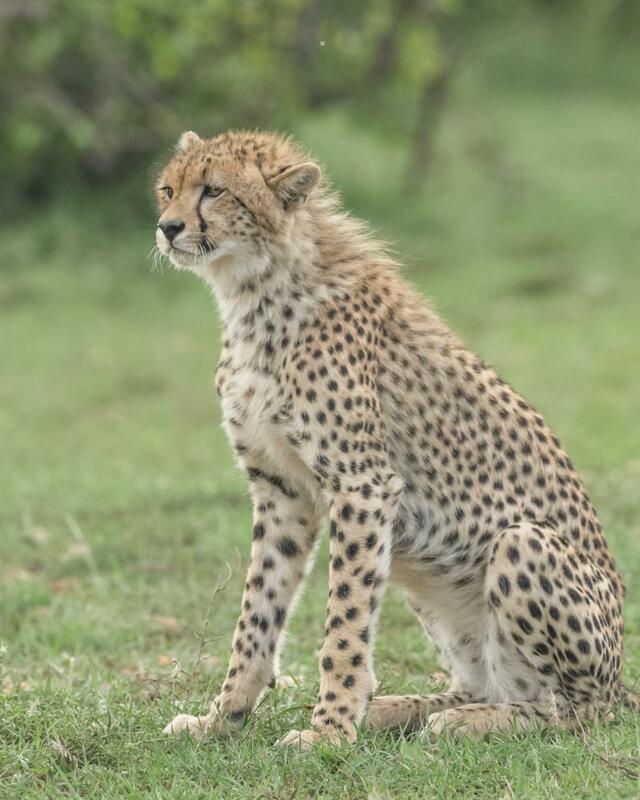 We would highly appreciate if you could send your original photos of cheetah profiles of single individuals or groups to mara-cheetah@mail.ru Thank you for your support! Can you work with .NEF Raw files or do you need .jpeg? If you let me know I'll email them through. Oh! How did I miss that???? Not sure now ...... She wanted me to email them to her. 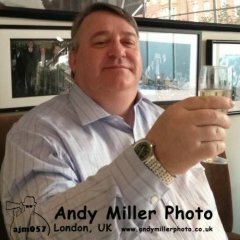 Maybe @@loafer247 can give us some input too as how to take this forward. 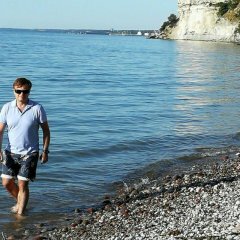 Definitely, sending photos via e-mail saves a very important information - date and time which saves automatically if these parameters were set up in the camera. All picturesposted on the Internet lose these data and wecannot use these photos for thepersonal cheetah records. 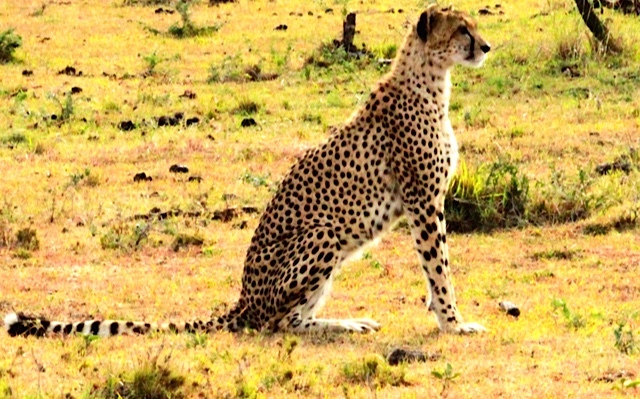 The Mara Meru Cheetah Project is finally starting in Meru, the website of which can be found here: www.marameru.org. 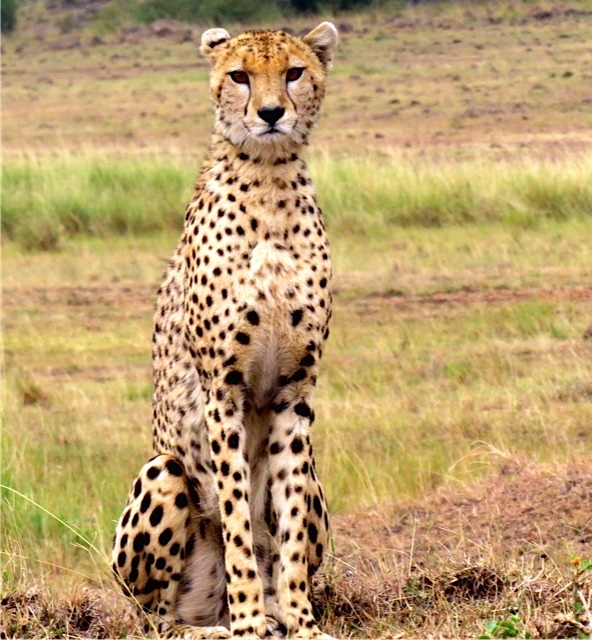 Where should photos of Merus cheetahs be uploaded or are Safaritalk only supporting documenting of Mara cheetahs? 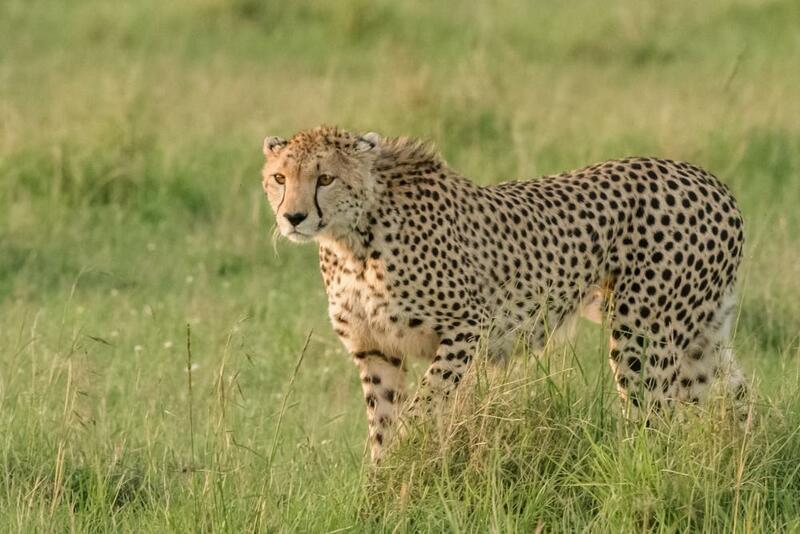 We on Safaritalk are also supporting the project by documenting cheetahs in the Masai Mara here, so if you have any images taken of cheetahs in the Mara please upload them there. 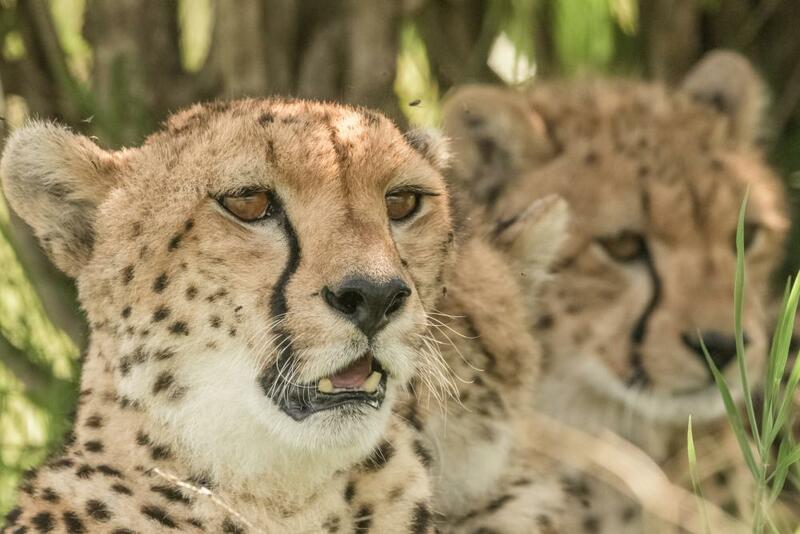 Not at all and thank you @@nhanq for bringing this up: I'll open a new topic for the Meru cheetahs this afternoon. 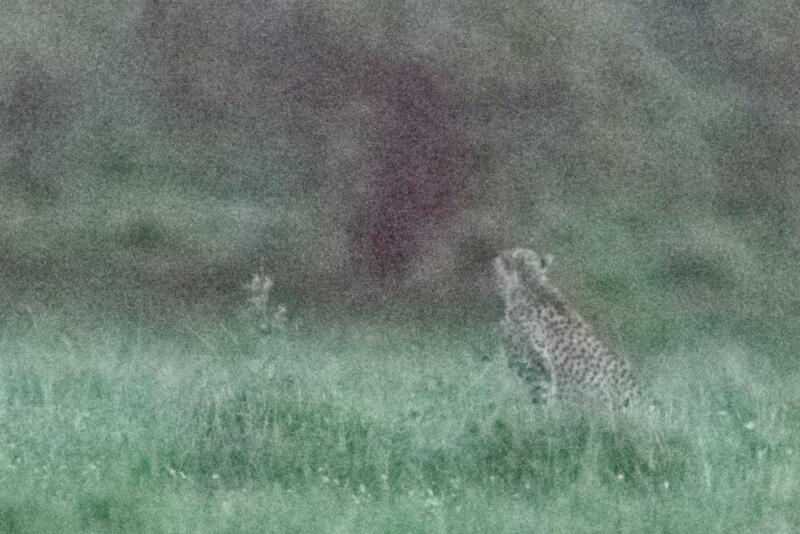 @@Safaridude and myself had a wonderful sighting last year which will be added to the index. In fact, I'm waiting for Dr. Chelysheva to return the indepth interview I've recently done with her to shine more light on the project and her work. 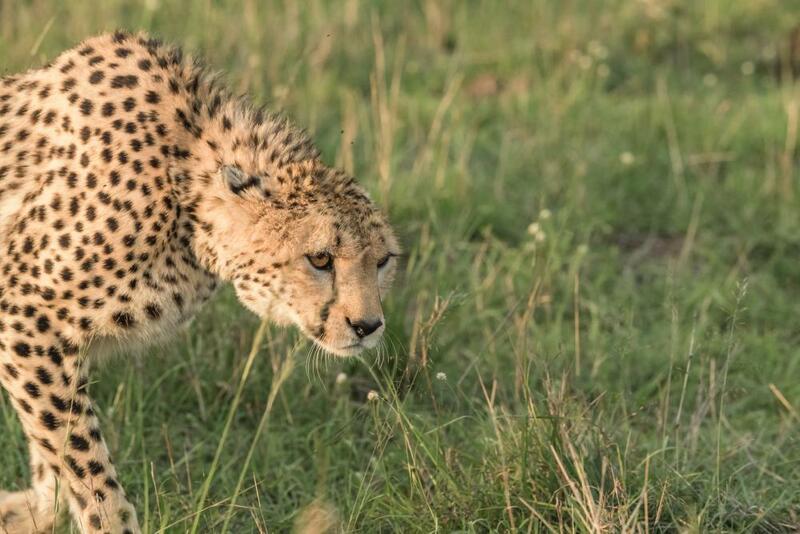 We saw 10 cheetah in one day; will attempt to gather all I have and mail them to the Cheetah team...Unfortunately they all look alike to me, but I did see one very scrawny cheetah attempting to hunt, unsuccessfully. We also saw Maiikia and her cubs in the Mara reserve; a sucessfull hunt and lots of playtime. I believe my travel companions took notes of names; and perhaps can add to the pics/list. 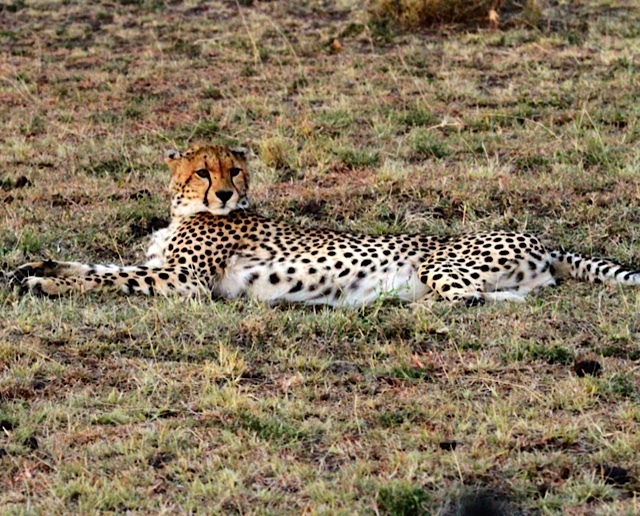 Having only seen one or two cheetah in 2010; and again in 2012; I am not an expert in recognition! 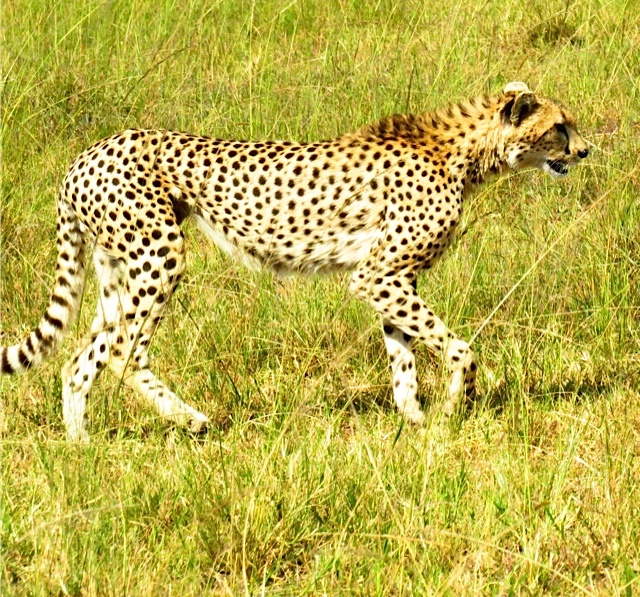 As going through some pics today I found a rather thin cheetah we saw as we moved from Nkorombo in the Mara over to Mara Plains...if it helps..
All of us felt so bad for this cheetah as it was apparently hungry and not very successful at hunting. We thought of it often the next few days hoping a kill had been successful. 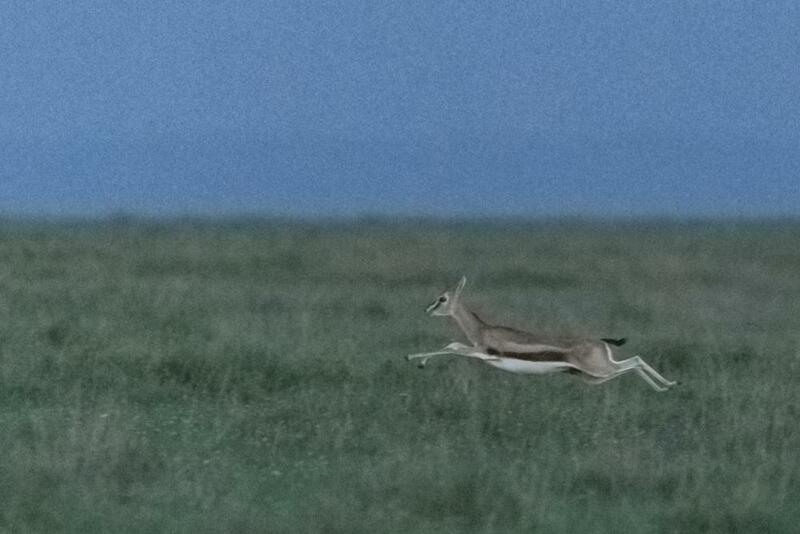 Photographed in Masai Mara National Reserve, Kenya, on 21 August, 2014 at 12:24 pm, with a Sony RX1 R camera. ISO 100, 1/500 sec., f/5, 35mm, handheld Manual exposure. 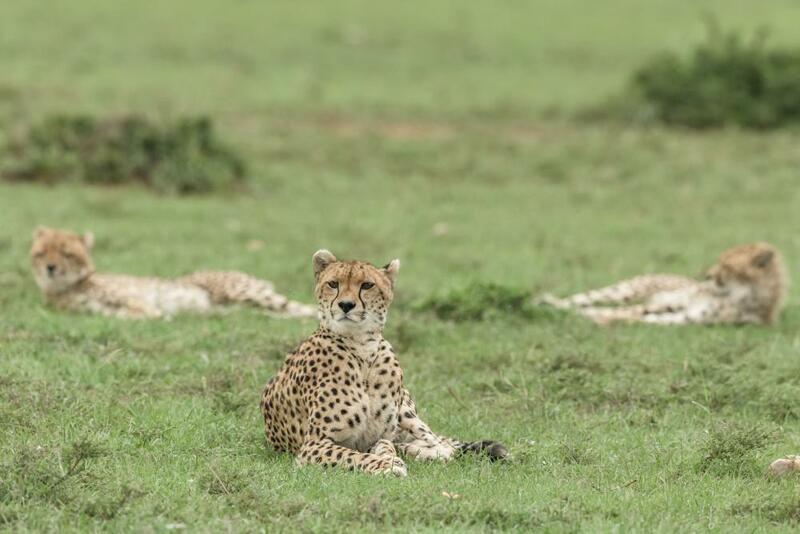 In an ecology course this would be ‘Female Acinonyx jubatus Nursing Six Cubs’. 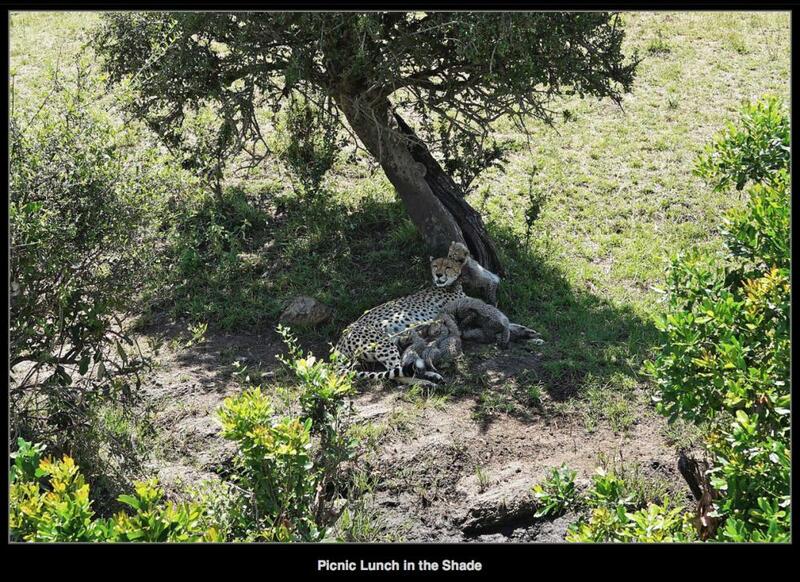 When I was there I thought to myself, ‘Picnic Lunch in the Shade’. 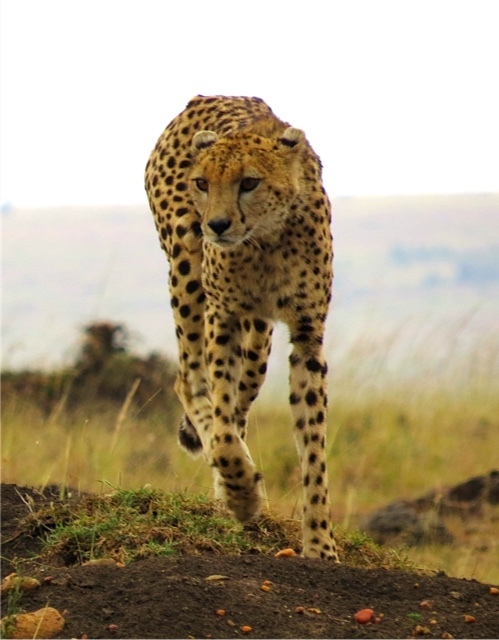 We were entirely alone with this cheetah family, on the lower side of a gently sloping hill with few distinctive landmarks, although gifted Masai trackers would surely see it differently. No other vehicles. The safari van had my guide, Anthony, a Chinese graduate student and myself. A light breeze was blowing but it was otherwise silent. We'd been driving around in search of a raptor I'd spotted when we came upon this savanna crèche. Anthony shares with me a revulsion at disturbing the domestic life of wildlife, thus maneuvers his van so as to obtain satisfactory photographs with what we hope is minimal disruption. This 35mm image portrays the peaceful setting more effectively than close-ups with a super telephoto lens. There were six cubs, which we counted as they crawled around while repositioning themselves. The cub on the mother's head was a kiss-a-holic, bestowing buss after buss on his mama. Seeing this scene again is such a pleasant memory. Safaris have a way of healing life's bruises. Love how her tail curls around in front of her brood. I apologize for the tardy reply. 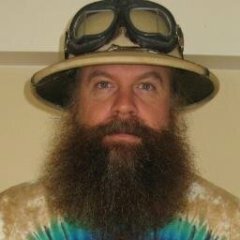 Somehow I overlooked this thread. Many thanks for confirming her identity. I have maybe 200 other images, several of which may be of interest. Over time, I'll find and post the better ones, mindful that you kindly identified her for me. Taken in the dark at ISO 102,400 - she had just failed to catch dinner while it ran away (ISO 72,408).